Developer and manufacturer of lightweight aircraft, BlackWing Sweden, has received the highest distinction as winner of the Red Dot Award for Product Design 2016. 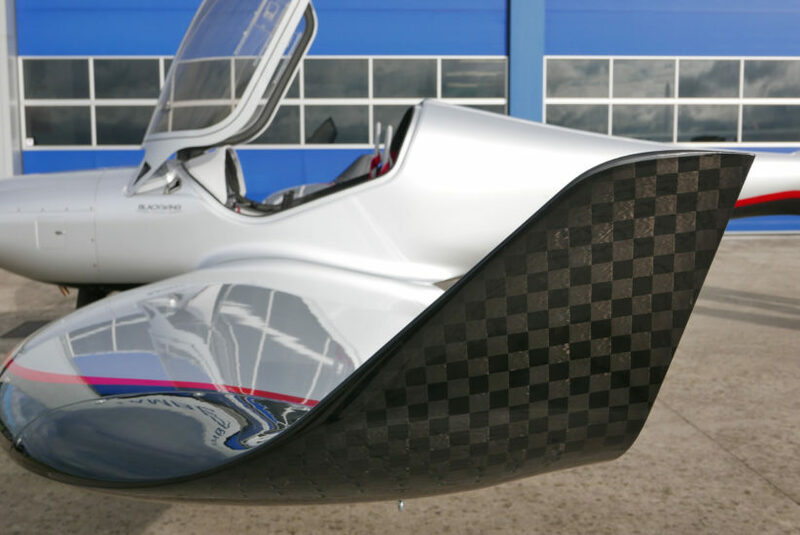 The fuselage and wings are entirely manufactured using TeXtreme® Spread Tow carbon fiber fabric – which the company claims are 15% more rigid than conventional twill fabric. BlackWing’s lightweight aircraft, available now as microlight, are among this year’s outstanding products. The jury’s awarding BlackWing a Red Dot: Best of the Best 2016 – a distinction earned by just 1.5% of all entries – further recognizes the company as an international design leader. The aircraft is designed by founder and CEO Niklas Anderberg. After gaining extensive aerospace engineering experience working for Boeing and Saab Aerospace, Niklas set out to change the rules on how small aircrafts are developed. Lighter and stronger, using the most advanced TeXtreme® carbon fiber prepreg fabrics available, BlackWing sets an entirely new standard. “For us to be able to design the aircraft as we have done and to reach the desired weight targets with the outstanding performance we needed, using TeXtreme® was the obvious choice of materials, if not the only choice,” says Anderberg. TeXtreme® has over ten years of experience manufacturing and testing real-world applications of Spread Tow reinforcement technology. This knowledge, combined with flexible production capabilities and access to the largest global capacity of Spread Tow fabrics, allows the company to provide customers rapid delivery of tailor-made fabrics resulting in reduced time-to-market for their products. The Red Dot Design Award is an international product and communication design prize awarded by the Design Zentrum Nordrhein Westfalen, in Essen, Germany. The jury awards the highest single distinction “Red Dot: Best of the Best” only for groundbreaking design achievements. In addition to the use of TeXtreme® in light aircraft, this innovative technology is also used in other Aerospace applications, Formula 1, NASCAR and America’s Cup racing, as well as in the manufacture of a wide variety of sporting goods products. 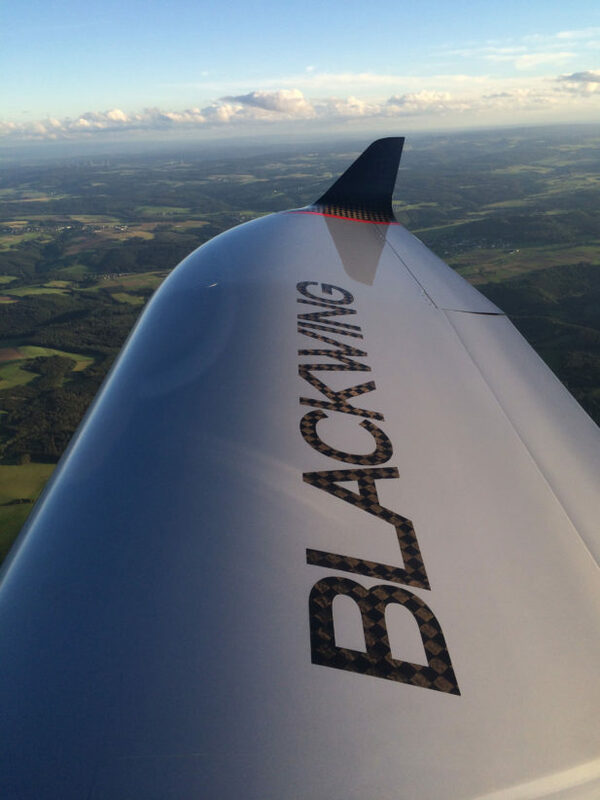 BlackWing is a sport aircraft developed by a small skilled team working with Founder and CEO Niklas Anderberg. The company produces all the parts, except the engine and avionics, “in-house” in Sweden. The short lead time makes them extremely flexible to make changes in the design for production optimization and stay competitive on the market. Niklas set out to change the rules on how small aircraft are developed. Lighter, stronger & faster are the lead words used in the company. To live up to these expectations the most advanced TeXtreme® carbon fiber prepreg fabrics available was a natural choice. The aircraft is aerodynamically clean and fast but at the same time capable of slow flights with best-in-class stall characteristics. As a family man, safety was always first with Anderberg. And with one of the roomiest cockpits available, aerobatic capabilities, balanced control surfaces for crisp handling and a low-cut canopy creating unique visibility, you will see that BlackWing is not just another aircraft. The impossible compromise further includes capability for short and rough landing strips, strong crosswind handling and a beefed-up structure that includes a safety cell with integrated roll bar. From novice to very experienced pilot, BlackWing is the aircraft you’ve always been looking for. Actually, it’s three aircraft in one! The BlackWing BW600 series is just the start for the company. In the planning is already aircrafts approved for all weather operations, electric twins and up to five seats capacity.